Once I hit 9 weeks post partum, I started to notice a change. My hair started falling out like crazy! The pregnancy hormones have officially evacuated my body and along with it, my hair has started shedding like crazy. 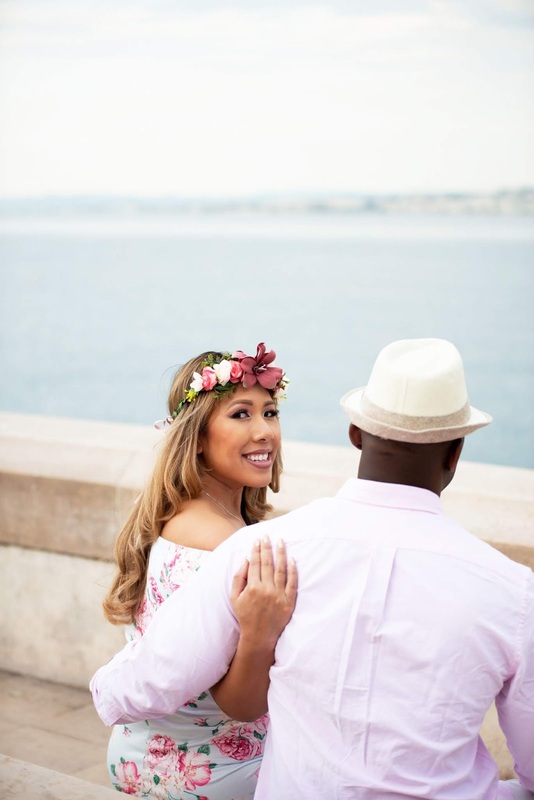 Check out this post for some tips on how I'm dealing with this situation. 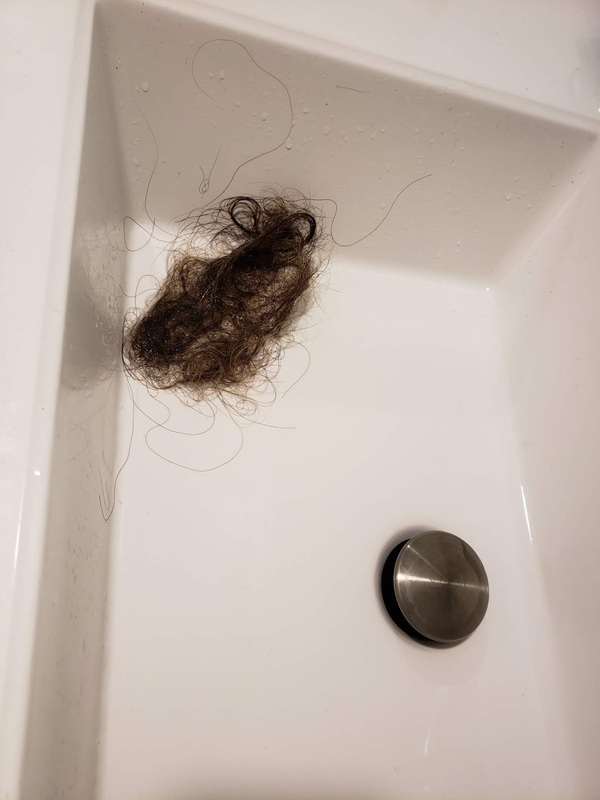 I first noticed my post partum hair loss when I took a shower and it looked like a small animal had come out of my head. My hair just kept coming out as I ran shampoo and conditioner threw it. Then I noticed that strands of my hair were everywhere - on the floor, in the bed, on my clothes and even some on baby girl. While I was pregnant, my hair was so manageable - nice and thick. But really the truth is that when you're pregnant you just don't shed hair as much which makes it seem like your hair is thicker. I personally have been brushing my hair throughout the day to catch hairs before they shed all over the place. I also decided to cut off a few inches so my hair was easier to manage and looked thicker. 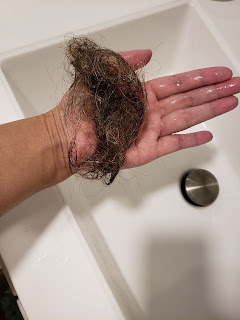 I've read on my mommy facebook groups many others going through the same thing some even getting bald patches, especially around the hair line...but the great part is that it'll grow back! This is temporary and usually will stop at about 6 months post partum. In the meantime, maybe try a different hair part, play with hair accessories and love on your baby. Do you have any tips for post partum hair loss? Let me know in the comments below!